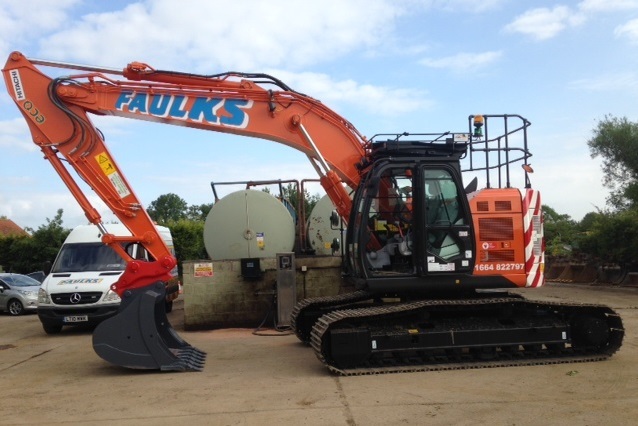 Since being founded in 1973 as a one-man enterprise, AE Faulks Ltd now offers quality plant hire at a competitive price in Cambridgeshire. A summary of the plant and vehicles we have on offer can be seen below – all of them hireable on a self-drive or operated basis to suit your requirements. Tracked excavators can provide great reach and superb stability on a site with uneven ground. 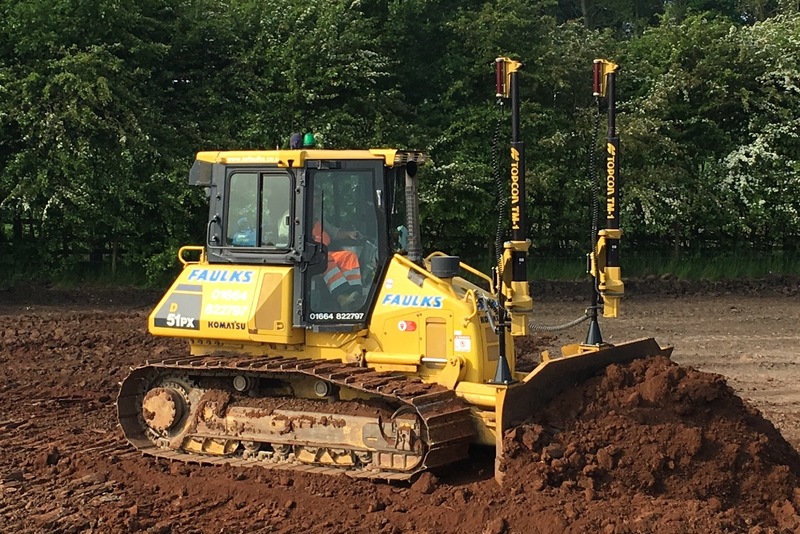 Our range begins at 6t and goes up to our larger models weighing in at 25t so you’ll find a tracked excavator within our plant hire service to meet your requirements, large or small. When you need a manoeuvrable excavator consider one of our wheeled excavator options. Fitted with a front dozer blade and rear stabilisers they can operate on broken or uneven ground as well as on concrete and tarmac surfaces. Our excavator range in Cambridgeshire spans 10t to 19t, giving you great choice. Our dozers come equipped to be fitted with modern laser and GPS two-dimensional or three-dimensional automatic levelling equipment. The tracks on these dozers are low ground pressure design too, so they retain the freedom of movement and accuracy to carry out infilling, stripping, shaping and trimming works. 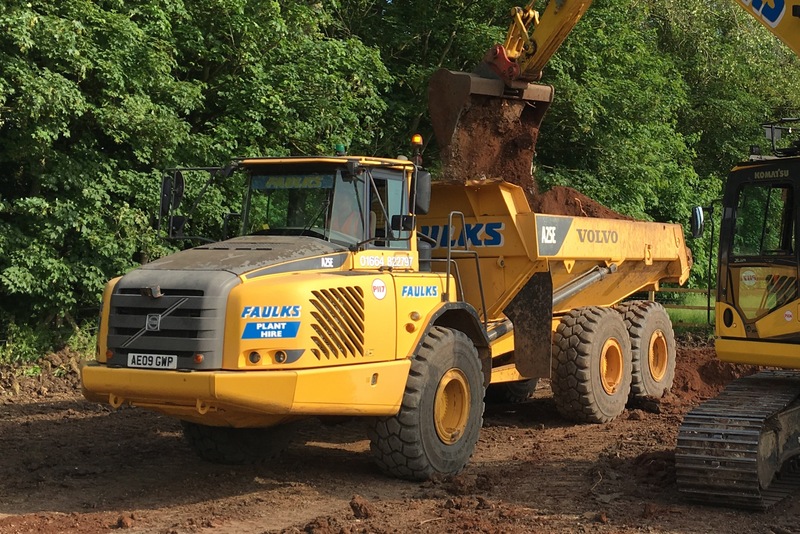 When you need a dump truck for hire, AE Faulks Ltd recommends the industry leading Volvo A25. This top tier articulated dump truck possesses all of the specifications that you need to carry out on-site work in demanding conditions. 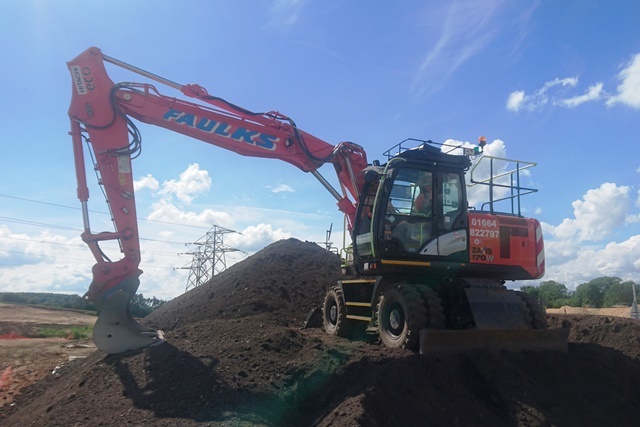 The A25 has a travel speed of 53 km/per hour and a payload capacity of up to 25t, which means that it can haul excavated spoil and aggregates around with equal ease. Our modern, powerful and agile agricultural tractors can be fitted with a huge array of towed or mounted attachments to tackle a wide variety of jobs on site such as dust suppression bowser and vacuum tankers, haulage and road cleaning. 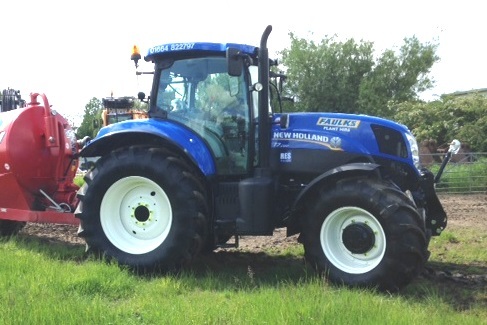 The New Holland T6.160 gives you a fantastic power to weight ratio, and delivers extremely high torque, whilst the T7.185 brings extra power for heavier machinery applications. All our tractors can be legally driven on the road, so their utility extends beyond the confines of a construction site. Our Scania tipper lorry fleet is engineered to transport demolition and excavation material. Fitted with the latest safety features they provide the ideal construction haulage solution. We hire out our tippers on a load price or daywork rate. Contact our team today on 01664 822 797 (option 3) to discuss your specific requirements or request a quote online. 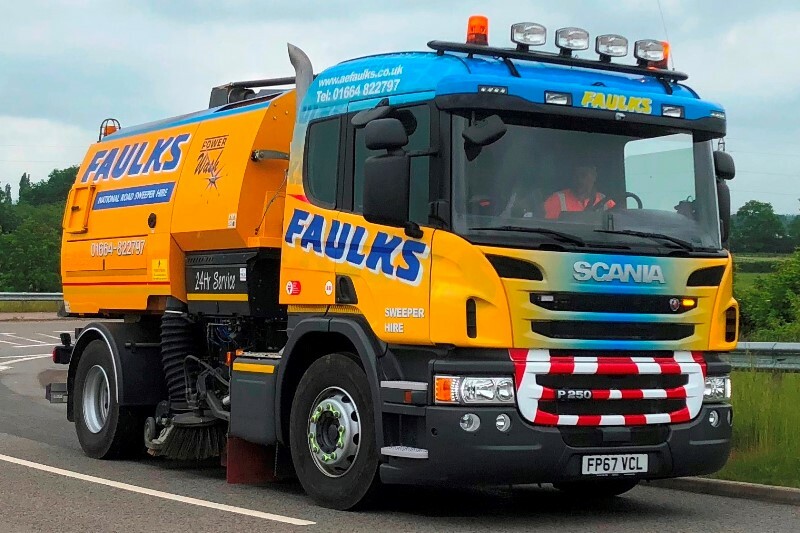 From self-drive tractor-mounted to state-of-the-art operated truck sweepers, our range of road sweepers can handle the most demanding of jobs including road sweeping, surfacing and planning works, car park cleaning and industrial sites. Contact our sweeper hire desk today for more information or request a quick quote online using the form below. 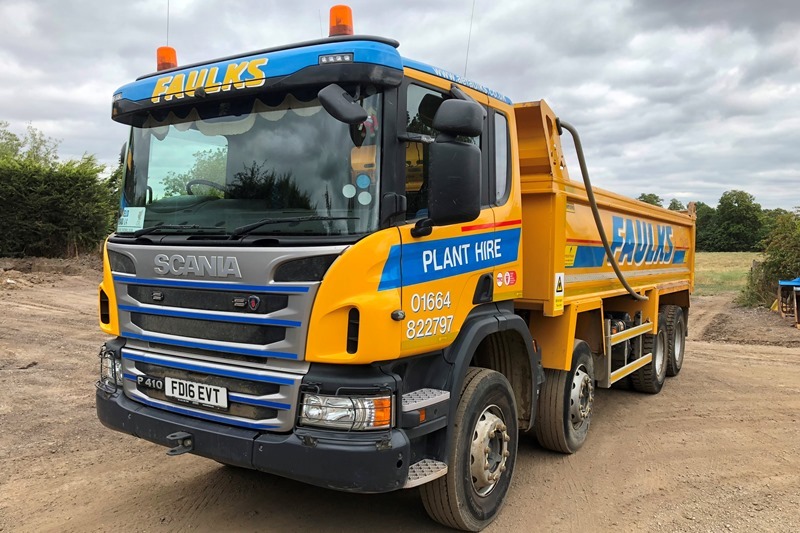 If you need plant hire in Cambridge, Huntingdon, Ely or the nearby areas, don’t hesitate to choose AE Faulks Ltd as your provider. Fill out the contact form below to get a quotation.